Corvette expert Jim Gessner contributed these photos & info on this experimental Corvette, the precursor to the legendary "Corvette SS". 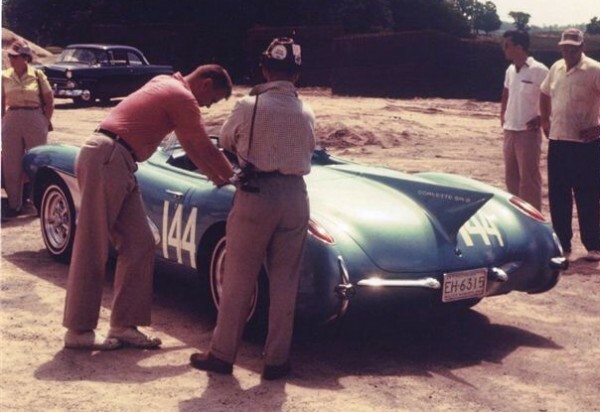 "In March 1956 Fred Warner, General Motors PR man for Chevrolet and racer himself, delivers the Corvette SR-2 to Road America. Harley Earl gave the car to his son Jerry to race. Jerry had been racing Ferraris until he received this car and GM frowned on that activity." The car in the dusty pit area at Road America. "The SR-2 acronym stood for "Sebring Racer" or alternatively "Sports Racing." 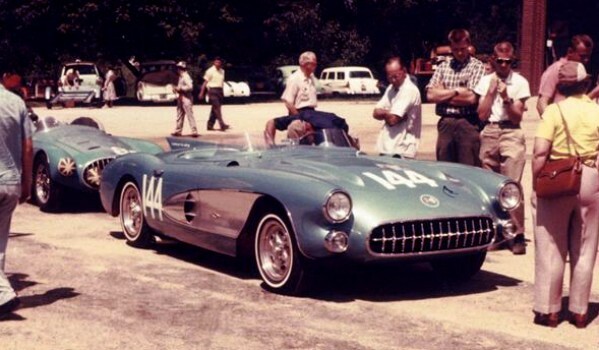 Starting with a Sebring Corvette chassis, the SR-2 sprouted a rear fin, two small racing windscreens, air scoops on the side coves and an extended front end with driving lights that gave the machine a purposeful appearance." Another look at the SR-2 at Road America. 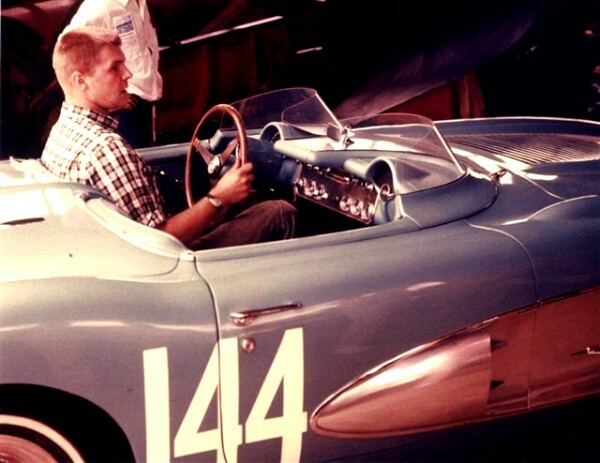 "Corvette repeated as the GT class champion at the 1957 Sebring enduro -- although it was a production model, not one of the sleek SR-2s, that took the honors. The SR-2 redeemed itself by winning the Sports Car Club of America's class B-Modified championship in 1957."